As you may all know, Norfolk Oak is the parent company of Naked Kitchens, Naked Doors and 80/20 Kitchens. These are all brands that have derived from our love of timber, and creating products that are incredible quality and incredible prices too. Over the past few years these companies have really excelled due to our incredible products, and the continuing development of product portfolio. We are constantly listening to customer feedback and developing new products as well as improving our existing products, and this is one of the main reasons our brands have grown so quickly! Now it is safe to say, a lot of our success has also come from the brilliant reputation that Norfolk Oak has build over the past decade. Norfolk Oak are experts in timber, and we have always created incredible products using expertly chosen materials. It’s safe to say we know what we’re good at, so we’re not going to stop doing that! However, recently we thought we could with a little bit of shake up and add a few new products to our portfolio. Still using the same incredible materials and the expertise of our craftsmen, we’ve been making some new bespoke items for our customers. 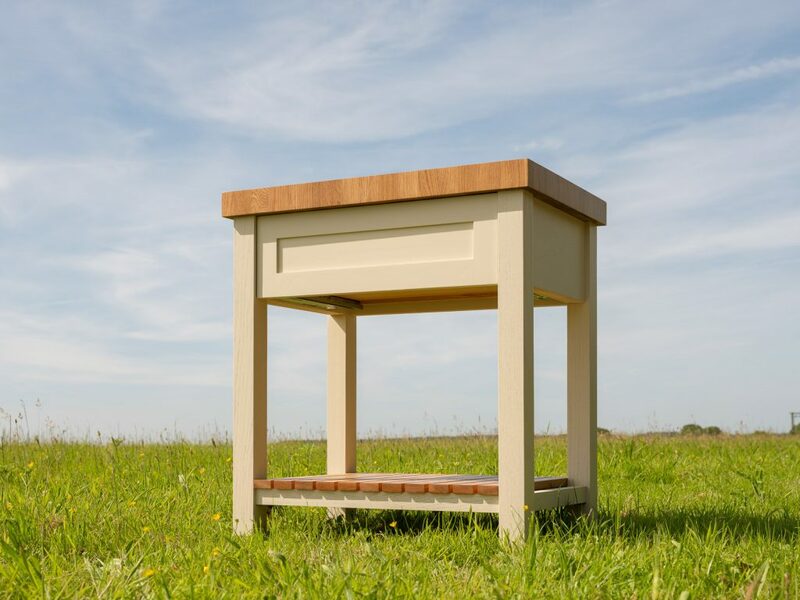 Our bespoke butchers block is a beautiful item we created recently, painted in Farrow and Ball’s Joa’s White and topped with a beautiful oak end grain, this piece is beautiful. Inside the block is a solid oak dovetailed drawer, and an oak slatted shelving section is added below for extra storage. This furniture item is perfect for your kitchen, and is a beautiful additional piece of storage, that adds a lovely traditional, country feel to a kitchen. We’ve also been updating our chopping board range. These blocks are incredible quality and a beautiful addition to any kitchen. 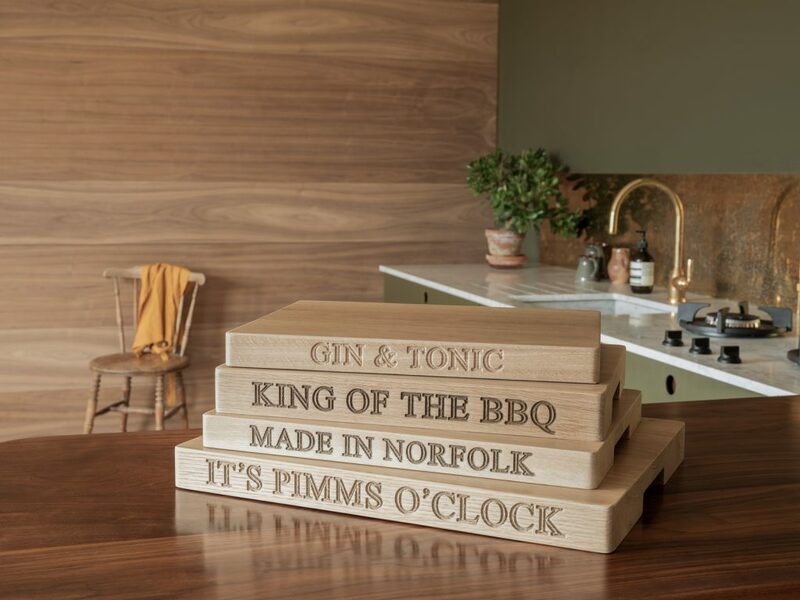 As you may already know, our chopping boards can be engraved with any wording of your choice (as long as it fits on the length of the board), so we thought we’d create some new beautiful summer inspired boards to show you how beautiful they can look, and the different uses you can get from our boards. 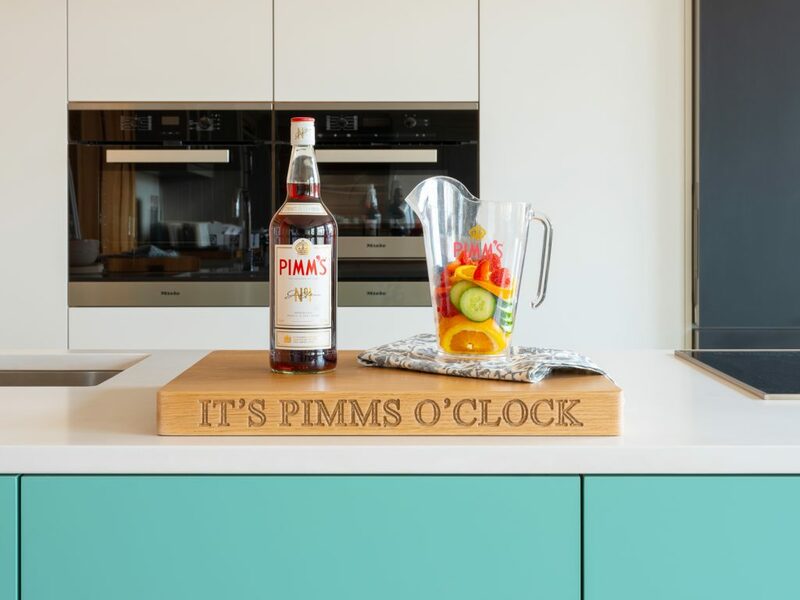 Incredible quality, and provided they’re well cared for- these boards can last a life time and will always be a beautiful accessory to your kitchen. The boards in the image have been made from oak, however we can also make chopping blocks from walnut timber too. We’re constantly thinking of new product ideas for our portfolio, as we love to try and bring our creative ideas to life. We know that our customers love what we can create and we want to use our skills and expertise to continue to make new and exciting products!